Exclusive: The Boeing 797 of 2025 will evolve out of this 2018 conceptual rendering of the New Middle-Market Airplane. This is Boeing’s New Middle-Market Airplane. Or at least this is what its concept looks like in 2018. 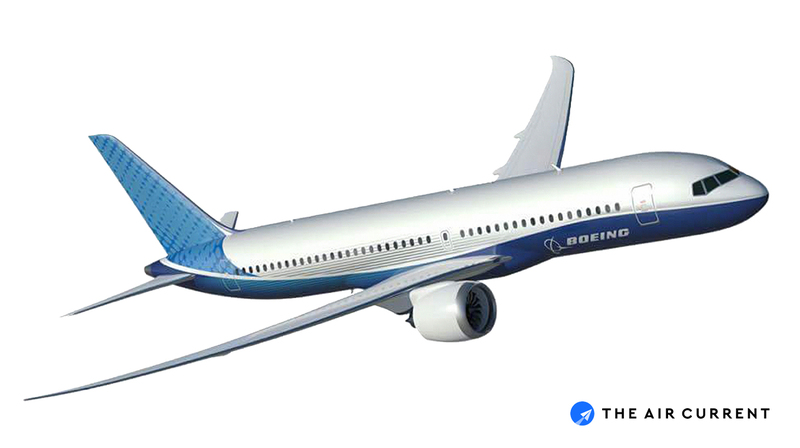 The artistic conception made by Boeing, revealed below, is the first complete look at the company’s NMA. The rendering gives an insight into how Boeing – which has shared few details about the jet – is thinking about its first all-new airliner since the 787 Dreamliner. At first glance, the NMA resembles the familiar form of the modern airliner for the last 65 years, building on the generational evolution in subsonic aircraft design since Boeing’s 707. Highly unlikely to be the final form of the eventual 797, its attributes hint strongly at some of Boeing’s efficiency enablers for its next-generation of medium-range airliners. Boeing and its suppliers have the better part of a decade still to go before airlines and passengers get their hands on the aircraft. The yet-to-be-launched NMA is slated to arrive in 2025. First with the base model, the NMA-6X (225 passengers at 5,000nm) and the NMA-7X (265 passengers at 4,500nm) two years later, according to two people familiar with Boeing’s planning today. The apparent small twin-aisle NMA-6X is pictured in the artist conception. So, what might Boeing’s ‘Atlantic Fragmenter’ become? Elements adapted from existing aircraft are apparent across this early iteration of the NMA design: A 737 Max-style tail cone, larger 787/777X-sized cabin windows, and a 757/767/777-style wind screen. The door arrangement matches that of Boeing’s last “small twin,” the 767-200, very strongly suggesting a twin-aisle design. But under the wing, the engines illustrate Boeing’s development work on a shorter inlet design to increase fuel efficiency. Boeing in February released a video detailing its testing of the lighter-weight nacelle to reduce fuel burn as fan sizes increase. The aim of such a design is to maximize the passenger space in the cabin; notionally a seven-abreast 2-3-2 twin-aisle economy arrangement above the floor with room for a single-aisle-sized cargo hold below, according to those familiar with the design. The debate between North American and Asian airlines over the shape and capacity of the belly (and ensuing wing-sizing and engine thrust capabilities) was detailed last week by Bloomberg News’ Julie Johnsson. We’ve actually seen this rendering before. 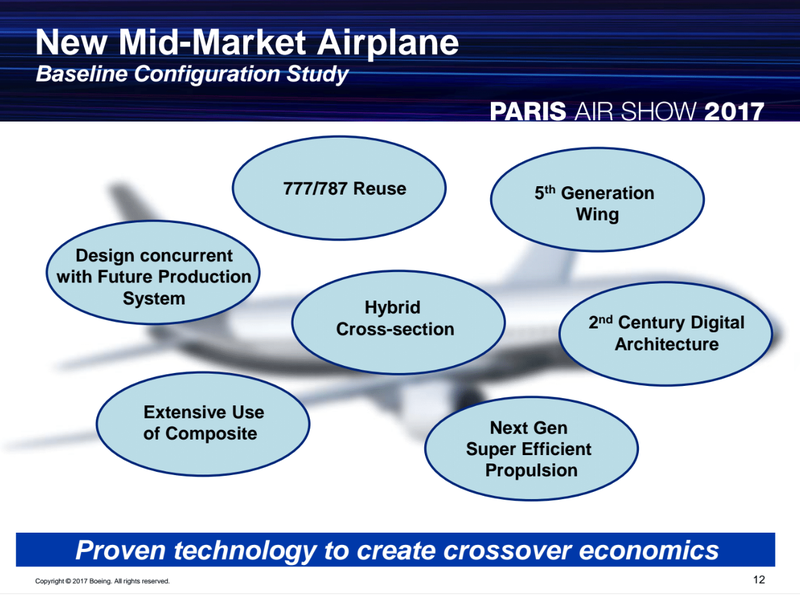 A significantly blurred out version first appeared at the Paris Air Show in 2017 in the company’s presentation on its notional NMA plans. The longer NMA-7X, with its additional mid-aft exit door, was part of the notional family lineup shown between the 737 Max and 787 Dreamliner as part of that same presentation. Flightglobal on February 14 attached an image to a tweet about Delta Air Lines’ interest in the NMA. Its image was a significantly blurred out version of what you see above. But why is this rendering somewhat inconclusive here in 2018? 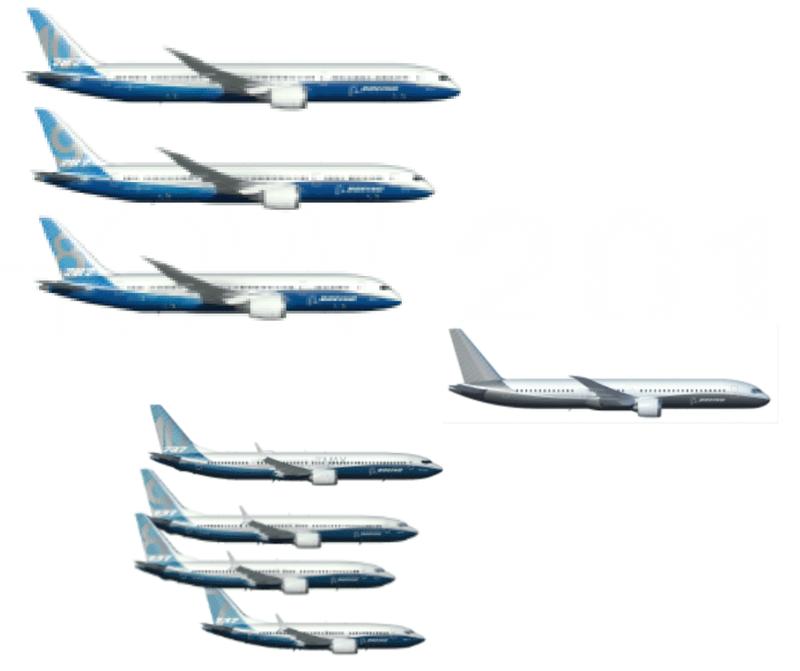 While it shows the direction Boeing is headed, history has shown that the first images of a new design rarely, if ever, resemble the final product. Plane makers frequently use artist conceptions to facilitate discussions with customers rather than risk showing ‘their hand’ to eager competitors. 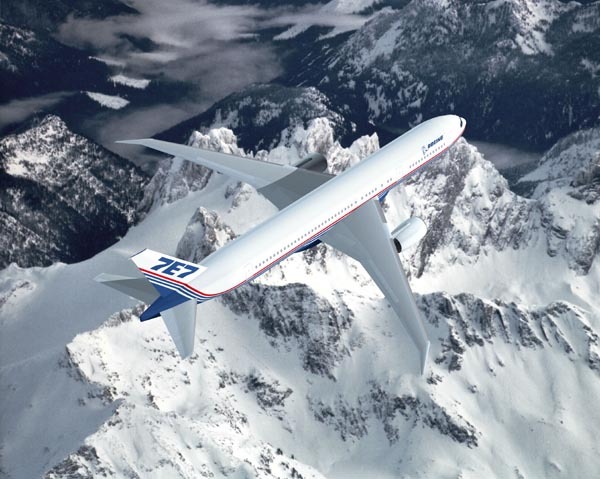 The first 7E7 rendering, replete with red, white and blue Americana colors from the 1980s and 1990s, showed up in 2002 when Boeing formally killed the Sonic Cruiser. The top down view of a shrunken 777-200LR/767-400ER soaring over the mountains offered an yet-to-be refined look at what became Boeing’s infamous sharktail 7E7 and the 787-8 five years later. Note: This post was updated to clarify that the NMA rendering was created by Boeing.